A few months I had a giveaway on the AlbuKirky Seasonings Facebook Page. (Note if you want to win free stuff, check out my FB page) I selected the winners and sent them a couple of bottles of rubs. One of the winners was Firehouse Chef, Dewey Atkocaitis. Little did I know that 2 little bottles of rub would lead to something so much bigger. 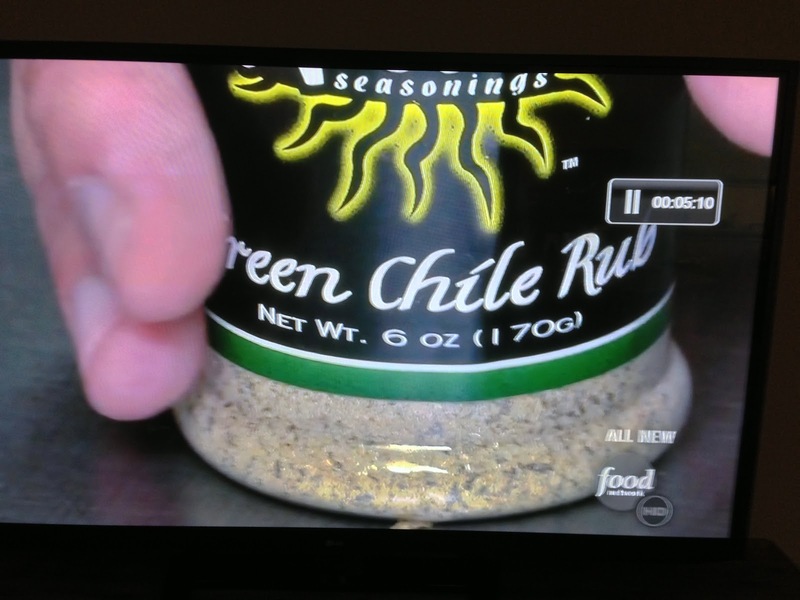 Dewey had lived in NM and was missing his green chile and instantly loved the green chile rub. From the emails and comments I have received from him I think he put it on everything but his cereal. He then started adding the rubs to his famous Buffalo Chicken Lasagna. 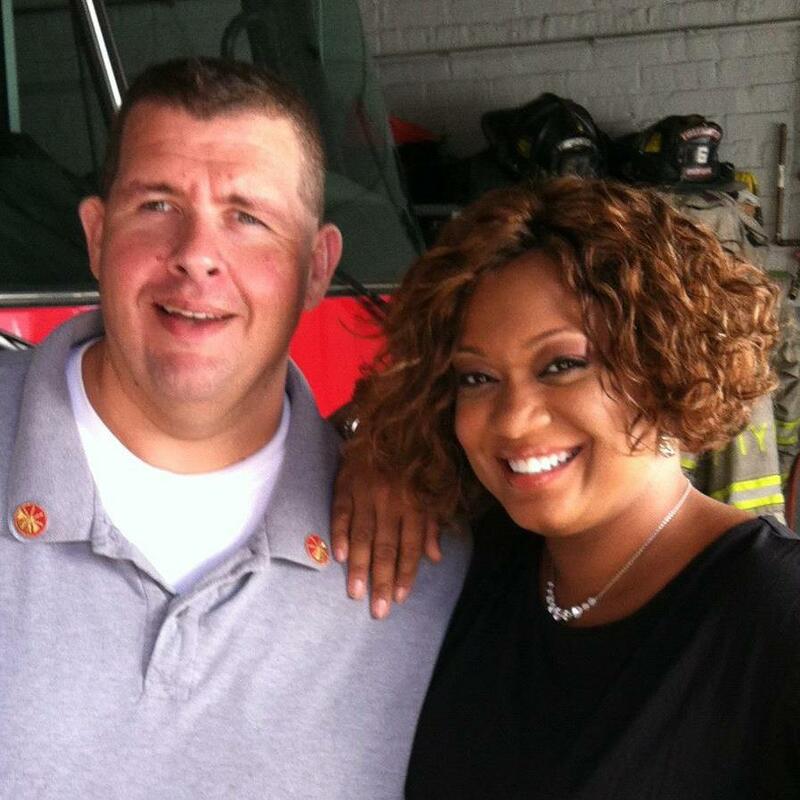 His lasagna is so freaking famous it landed him a segment on Sunny Anderson’s new Food Network Show, Home Made inAmerica. Dewey had told me about the segment and he was going to try to plug my rubs during his 15 minutes of fame. The episode aired here at 7:30AM and I was up early waiting to see it. I was really excited that Dewey was living out his dream and appearing on a Food Network Show. Dewey cooked up his famous Buffalo Chicken Lasagna for Sunny and it looked amazing. 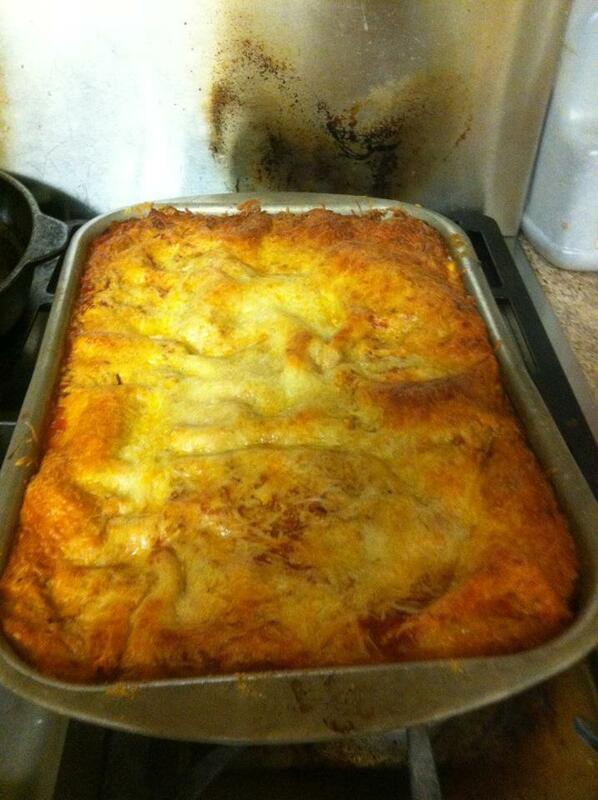 There are definitely layers of flavor in that humungous pan of lasagna he cooked up. 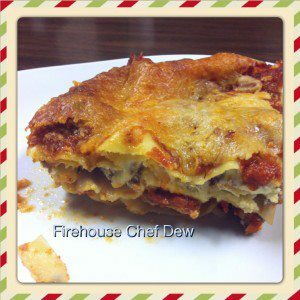 To get the recipe to this fabulous dish visit Fire House Chef Dew. True to his word Dewey did plug my products in his segments. They took two close up shots of the bottles but apparently the rest of the label ended up on the cutting room floor. It’s actually pretty funny that they only showed the bottom ½ of the label but that’s really all I needed. That first weekend I was flooded with orders from new customers wanting to make Dew-sagna. I run this business out of my garage and I was a little overwhelmed by the orders I did get, I couldn’t imagine what would have happened if they would have shown the whole label. I want to say a big THANK YOU to my new friend and food brother Dewey for helping me out. It was great to see him cooking and sharing his love of food on a national show. I am also humbled that he would go out his way to plug my products during his 15 minutes of fame. That’s the kind of guy Dewey is, one who puts others before himself. Thanks again Dewey hope to meet up with you soon! Dewey’s episode will air again on December 3rd at 1:30pm CST, set your DVRs!! Great pub for you Kirk! I've saved Dewey's recipe to try in the near future. Thank you! I'll be making the Dew-Sagna very soon too! Congrats, Kirk! Very good coverage. I tried to get Sunny to have me on her show so I could get a full screen shot of my rub, but there has been no response.